M.I.A. matinee show this Sunday at Baker Street DTC! 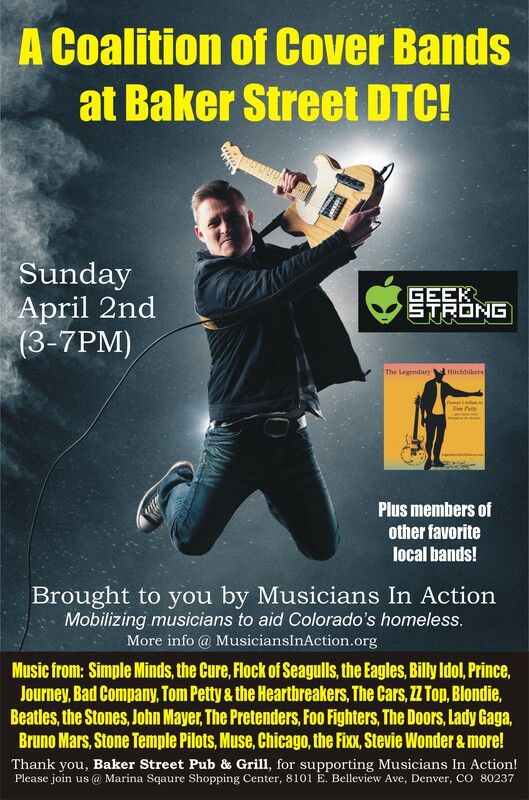 Please join us for the kickoff of Musicians In Action-CO’s new supported employment program! We are holding a matinee (3-7pm) fundraiser at Baker Street DTC in south Denver. No cover charge, several great bands and a very worthy cause. Plus CDs, T-shirts and more – thank you, Baker Street Pub & Grill, for supporting Musicians In Action! Thank you, Sonic Conscious Studio, for supporting M.I.A.! Thank you, Foyl, for supporting Musicians In Action!